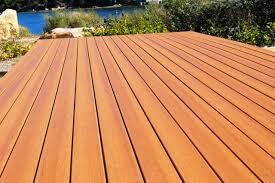 How many clips do I need for my deck coverage? The Merbau Clip Has Been Designed To Fit 90mm Kiln Dried Merbau/Kwila. The Clip Will Perform At Its Optimum For Merbau That Is Sized Between 89.5 And 90.5mm. 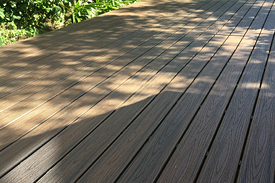 Merbau Consistently Sized Outside Of This Range May Prove Unsuitable For Use This This Clip, As May Other Types Of Hardwoods (Eg: Yellow Balau). 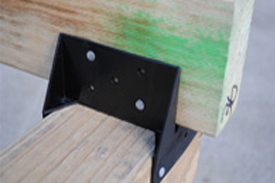 KlevaKlip Is Not Suitable For Non-Square Decks Or Irregular Joist Heights. Knuckle Nails At The Ends Of The Clips Are For Temporary Fixing Only And Must Be Supported By Screws/Nails Along The Clip To Provide Permanent Fix Of The Clips To Your Joists. Boards That Are Significantly Undersized, Oversized Or Have Bends/Bows/Warps In Excess Of 10mm For Every 2.5 Metres In Length Are Unsuitable For Use With This Clip. The Special Fixing Tool (Provided With Every Box Of Clips) Is Designed To Straighten The "Upright" Of The Clip To A Vertical Position As It Fixes The Teeth Into The Board. 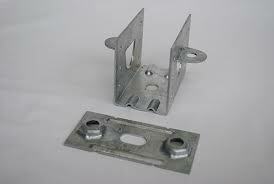 The KlevaKlip Top-Fix Clip Is Designed To Suit Timber Or Metal Joists RHS 40mm- 50mm Or Larger In Width. 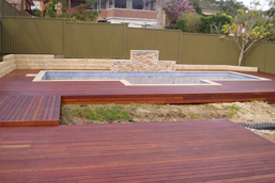 For Laminated Veneer Lumber (LVL) Joists Please Check With Your Supplier For Suitability.